LOGIC highlights from the conference include solid presentations, fun times at the expo and overall, a great job by the Esri events team. Check out the finer points below. Solid presentations from some locals. There were a lot of sessions with valuable information and innovative ideas presented. 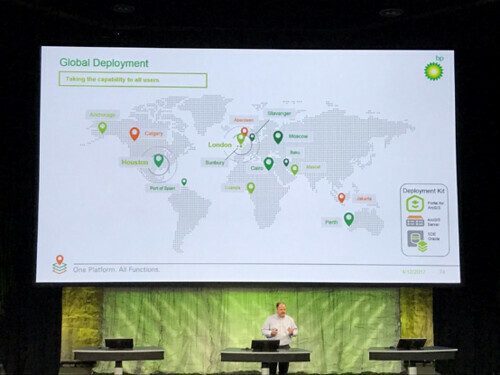 We were specifically excited about the Green Field Enterprise Web GIS Implementation at EnerVest - Value Created and Lessons Learned. Bill Keller led this session by highlighting the value of Enterprise GIS and the role LOGIC played in making it happen. As a Chief Geophysicist, Bill brings a ton of credibility and spoke to the value Enterprise GIS delivers to business like no other. We also all unanimously enjoyed the plenary. It is extremely fascinating to see how well choreographed these events are. Obviously, lots of practice goes into the event. High attendance made for a really fun Expo. This was our 5th year at the conference and this year we had a lot of fun at our booth. Thanks to everyone that stopped by to chat widgets, learn more about our project with EnerVest or just say hi! We had lots of cool swag but the crowd favorite (by far) was the LOGIC t-shirts –they went like hot cakes. Hope you got one! The Esri team put on a great event! 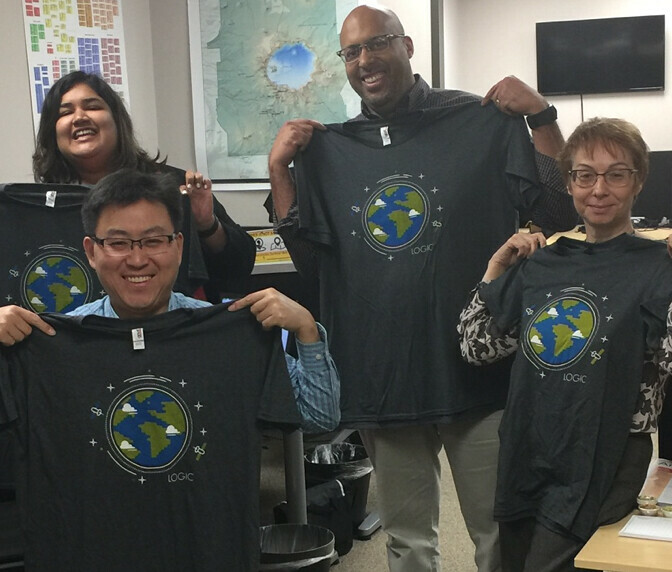 From stellar sessions and solid hands on labs – the Esri team rocked the conference. One change that our team noted was moving the social to the last day of the conference. The turnout for the social was remarkable even though this was the first time the gathering was on the last day of the conference. This speaks directly to this year’s attendee energy level. Our time at the Grove was a lot of fun as always. The weather was perfect and the food was delicious. 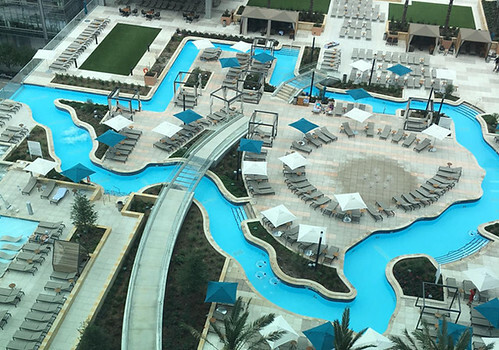 Not to be outdone by the George Brown, the new Marriott next door has a Texas shaped lazy river. Not bad Marriott, the LOGIC team co-signs on this! Always a good conference, looking forward to next year! 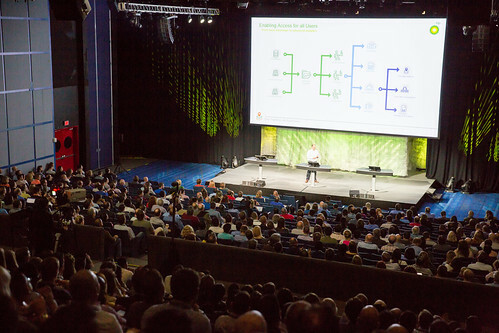 The plenary videos and presentations should be released by Esri soon, until then, check out the photos!